Every time you go to sleep you are unconsciously united with the infinite Reality. This unification involves the extension of unconsciousness over consciousness. It thus bridges over the chasm between the unconscious and the conscious. But being unconscious of this union, you do not consciously derive any benefit from it. This is the reason why, when you wake up again from deep sleep, you become aware of the selfsame, humdrum individual; and you begin to act and experience exactly as you acted and experienced before going to sleep. 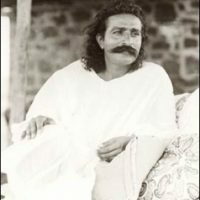 If your union with the supreme Reality had been a conscious union, you would have awakened into a completely new and infinitely rich life.